The only empty seat was next to me. A young gentleman sat down. In his hand he held a pen and a note-card size booklet. He was writing. I was so intrigued that this young man was writing to pass the time. He was not playing on a smartphone nor was his ears covered with BEATS. I asked him if he writes all the time. He said that writing is the only thing that gets him through his day. I can so relate. We had a short conversation about writing and about journals we have kept over the years. It was nice to run into a kindred soul and to connect on the love of writing. I cannot quite pinpoint when I started my love affair with writing. It's like it was always a part of me. I learned to read when I was three and writing came soon after that. I feel so very deeply in my soul that I was made to tell stories, to tell my story, and to create art from all the pain and sadness I have experienced. I have a deep longing to feel joy again and yet, so much creative energy has arisen from the extreme grief I am experiencing. When I journal, I bare my soul. Here, on this blog, I keep some bits of information private. But it is in the writing and the thinking through the events happening in my life that I am able to let go of some of the emotion that is pent up. 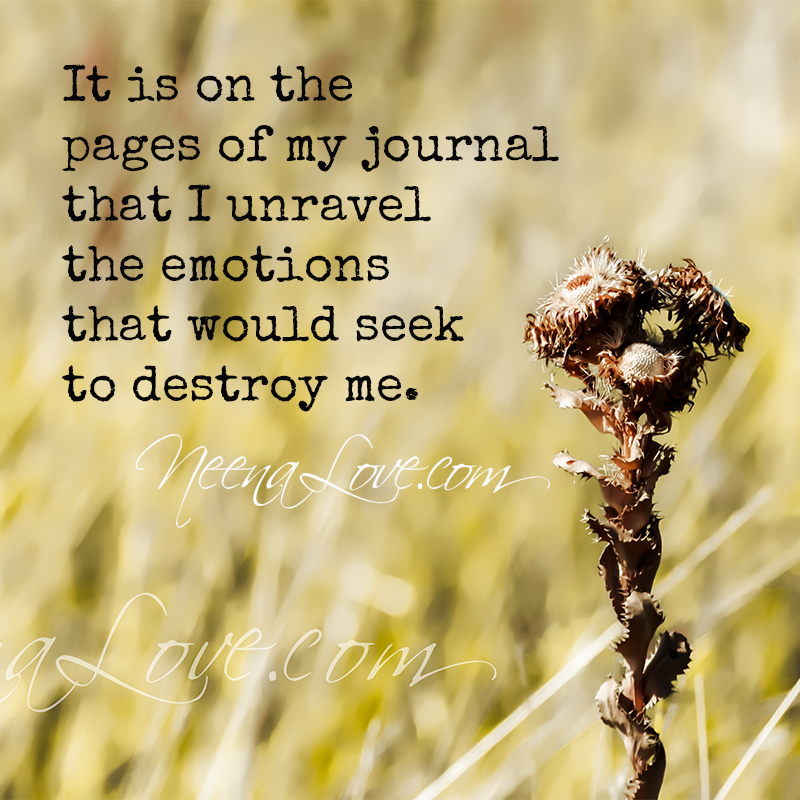 It is on the pages of my journal that I unravel the emotions that would seek to destroy me. I look through my blog and in my journals for hints as to how I find myself at the end of a second marriage. I can't call it. What I do know is that both relationships ended with the man walking away. Both of their monologues exactly the same. "I haven't been happy for a while." "I don't want to be married." "You're a good woman. A really good wife." I don't know what to do with this information but the fact that I have my writing to look back on it and compare what happened in both relationships is priceless. 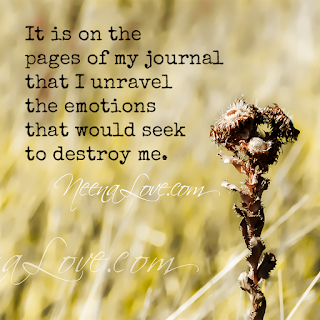 What I know is also strewn across the pages of my journals is how much love I have to give. How utterly insane I am about feeling the butterflies when I'm in love. I read my old writings and the loyalty and devotion I give freely to my husband frightens me. I have come to realize that I lose myself a little too much when I'm in a relationship and I compromise too much of who I am to please my partner. That stops now. Every tomorrow will be about making ME a priority. I promise that to myself.